Target Weekly Ad February 3 - February 9, 2019. Fun To Share! 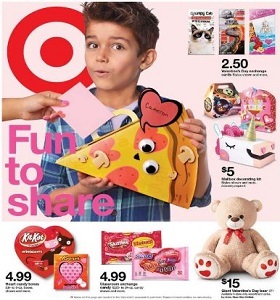 Target Weekly Ad February 3 – February 9, 2019. Fun To Share! -2/$12 All Archer Farms nut and trail mix multipacks; 3/$9 Nestlé Pure Life Water.